Are you utilizing Instagram for your business? We know that social media can be used to drive user growth, engagement, retention, and sales. Learn to create a solid strategy to guide your activity across these networks, on this workshop. 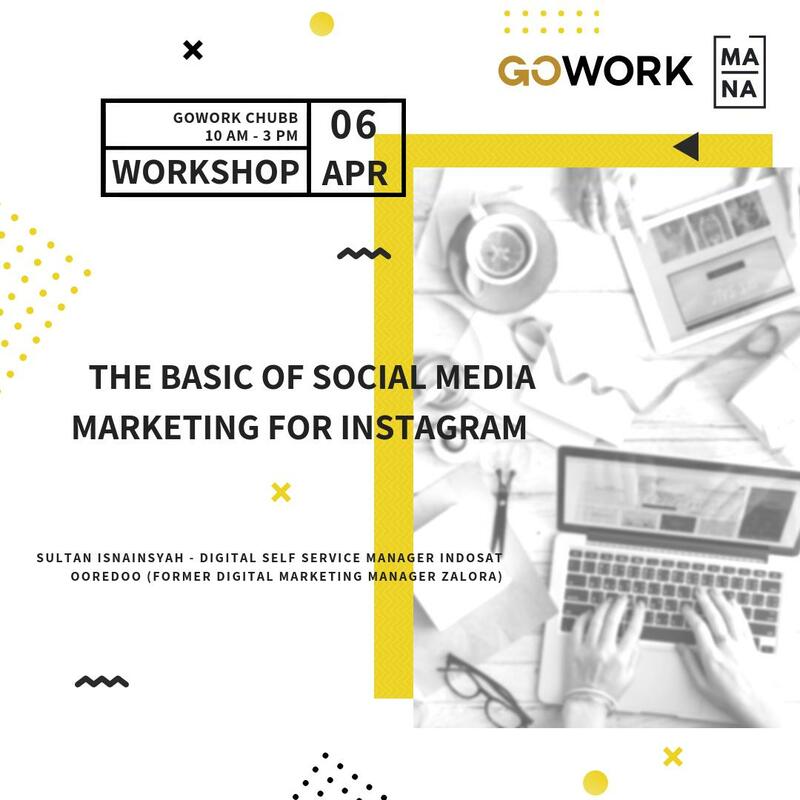 This workshop takes you through the idea of defining your brand purpose, understanding your customer's behavior in social media and build a constructive engagement to connect your brand and products within their state of mind, best practice in using Instagram feature, industry standard for engagement rate, and how to utilize the use of social media dashboard. What makes your content fails? Sultan Isnainsyah - Self Service Digital Manager of Indosat Ooredoo (Former Digital Marketing Manager Zalora Indonesia). Certified Social Media Marketer, Digital Marketing Consultant with 6+ years of experience working in various industries, small, medium, and large scales, including e-commerce. Specialties: Brand Communication Strategy, Social & Digital Business Practitioner, Content Architect. He will share his expertise and teach you in this one day workshop. So join the class and get your customer's more attached to your social media persona.